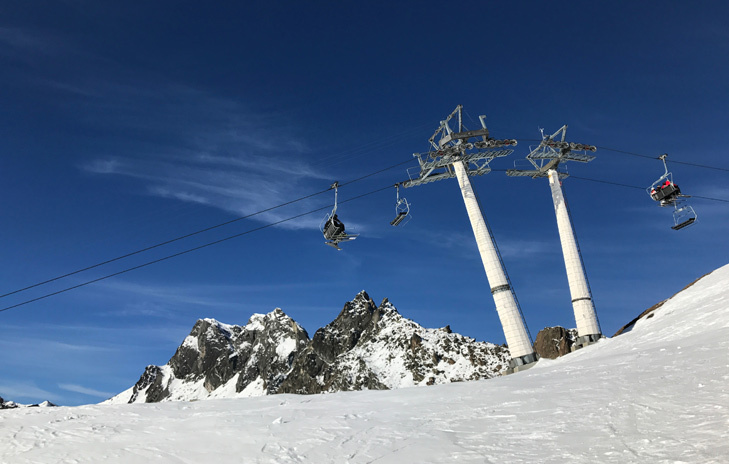 When we reminisce on our ski holidays, we tend to remember nice things like the sunshine, the freshly groomed slopes, the mountain terraces where we enjoyed a cup of hot cocoa... 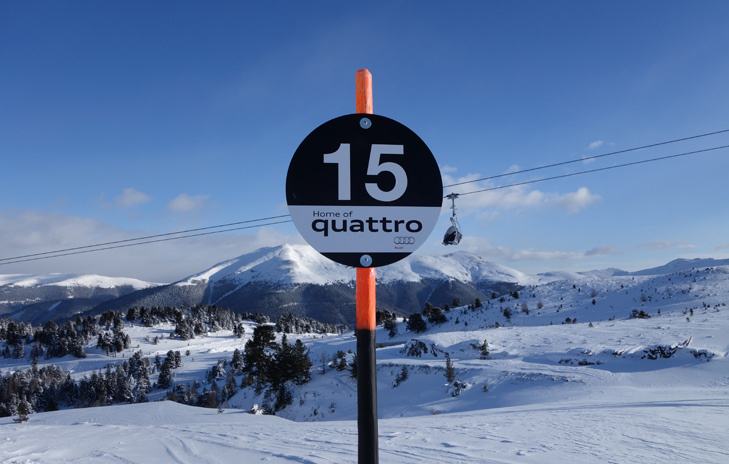 But there are plenty of little details that can add unwanted stress to your ski holiday. Fear of heights? Fear of icy slopes? Hate moguls? 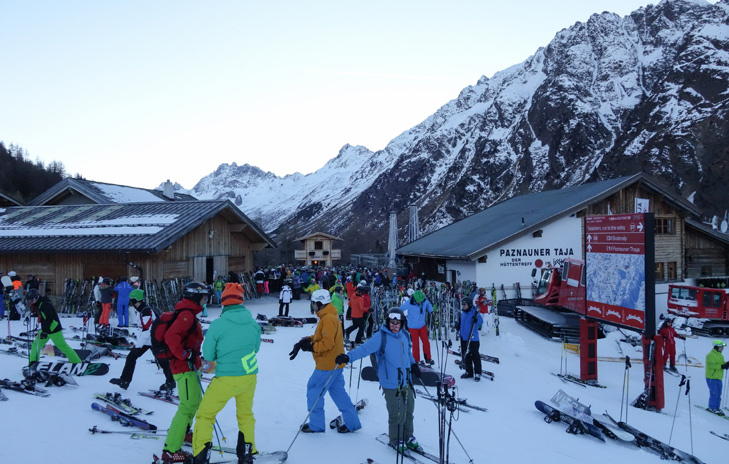 Then ski holidays aren’t always as easy and wonderful as we make them sound! Hats off to you for persevering anyways! You’ve not been sat on the lift for 5 seconds before you pull the safety bar down, and you’ll continue clutching it until you’re safely at the top. Windy day? Then they couldn’t pay you enough to step onto the lift! What if you fall out? Or worse – have you seen what happens when the ski lift malfunctions? A nice shiny bruise is a pretty good excuse to call it quits at the end of the ski day. Personally, you’d rather skip the risk altogether. Just looking at that icy slope gives you chills! Après-ski on the slopes is loads of fun, but many people forget that they’ll need to ski down afterwards. Bad enough for them, but worse for you, as you try to make your way down the slopes and have these crazy skiers swerving all around you! Not a confident skier? Then you’ll recognise the fear of falling that accompanies any good ski day. It’s all fun and games until you’re lying at a funny angle in the snow! The irony is that it’s precisely this fear that often causes you to make stupid mistakes and therefore fall. Take some lessons, not necessarily for your skill level but more to increase your confidence, and watch as skiing gets way more fun! It’s not only drunken revellers who swerve down the slopes in search of fresh people to hit (you). Especially on narrow runs, it’s so disconcerting to hear people skiing or snowboarding just a little too close behind you! Best to find a safe spot by the side of the slope where you can wait it out, instead of being at their mercy when they lose control and go careening into you. If you have a fear of heights and you’re still pushing yourself to go skiing, then major kudos to you. The worst part is the lifts, especially in the wind or in those particularly bad lifts that hang over very deep abysses. It also takes nerves of steel to hurtle yourself down the beginning of each slope. Bad weather is bad enough, but bad visibility can officially ruin a ski day. When the light is so flat that you can’t even see the moguls, that’s when you stop having fun! Choose light-coloured goggle lenses, pick someone to follow and hope for the best, because that’s really all you can do. 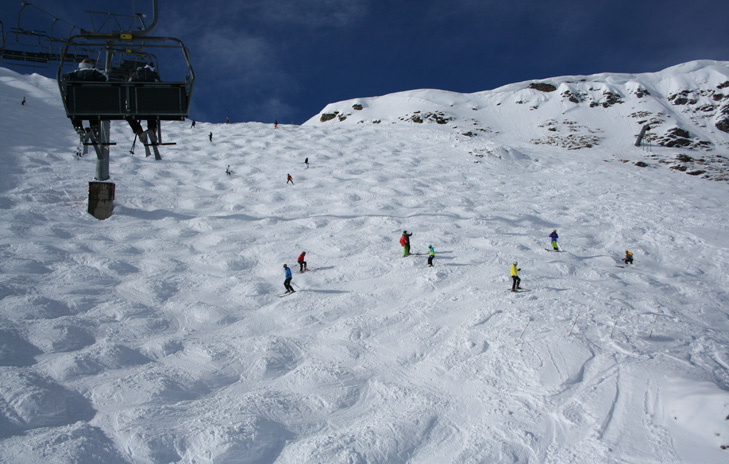 That nice red slope that was so doable in the morning is now covered in ugly moguls looming out at you. You thought a ski holiday was supposed to be fun! Not an excuse for offing you and making it look like an accident! 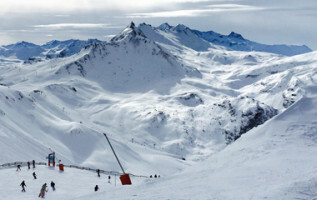 Despite all these scary factors, ski holidays are still SO worth it! What are you most afraid of when skiing?